As you may have seen online, from the 1st of October 2018 Microsoft will be adjusting pricing on their licensing programs and products. In Microsoft’s words, “These changes will highlight the benefits of our pricing for a cloud-first world”. This essentially means that they are making it more financially advantageous to move away from an on-premise license model and into a cloud subscription model than ever before. Volume Agreements – What is Changing? -Removing volume discounts (Level A and Open Level C) on Enterprise Agreement (EA)/EA Subscription, MPSA, Select/ Select Plus and Open programs (Open, Open Value, Open Value Subscription). -Aligning government pricing for on-premises and online services to the lowest commercial price in EA/EAS, MPSA, Select Plus and Open Programs. -Delivering a newly designed Customer Price Sheet that better outlines how a customer’s price was derived through EA and EAS agreements (this doesn’t apply to Gov). Level C will disappear – the price band and volume discounts will be removedGovernment customers will see a price increase for specific products on their Enterprise Agreements and in their online services and perpetual products in MPSA and Open programs. Volume Agreements – What Action Should I Take? If you don’t have an Enterprise Agreement and purchased through Select, Select Plus, Open, Open Value or MPSA, you do not have price protection and will be impacted as of 1st October. Speak to your CDW Software or SAM Consultant who will be able to help you understand your best course of action. EA customers will most likely be impacted anywhere from a few months to 3 years away – at renewal time. The recommendation here is to consider making a purchase for planned growth to take advantage of your current pricing level or, more strategically, perform a baseline of your current estate so you can optimize your deployments and map out your commercial options. Your CDW Software Asset Management Consultant can help with this. The increase in government licensing costs should also be noted, particularly in regards to the greater impact for online services. All government entities should evaluate their licensing strategy at a contractual and usage level. Your CDW Software or SAM Consultant can assist with this. Office – What is Changing? This is a straightforward one – Office commercial prices will increase 10% over current on-premises pricing. This is an across the board increase and will affect all Office components including Project and Visio, Enterprise CAL, Core Cal, and server products such as Skype for Business Server, Project Server, Exchange Server and SharePoint Server. This price increase will affect pretty much all commercial organizations that utilize on-premise Office, however, it is important not to rush into moving to Office 365 without the appropriate levels of due diligence and planning. Building an accurate view of your estate and assessing who is using what in your environment will ensure that you commit to the right quantity of, and the most appropriate, Office 365 plans. CDW’s Software Asset Management Practice can help with both the tooling and services required to complete this assessment work in a timely and accurate manner. 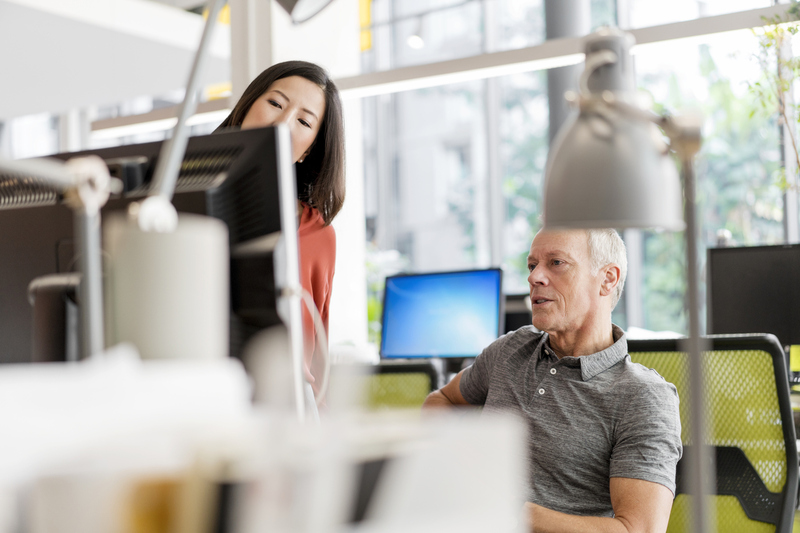 You should also ensure that your business is ready for the move to Office 365 by implementing the correct Adoption practices, which include change management processes and end-user enablement activities. CDW’s in-house Adoption Practice can provide assistance and resource to ensure that new technology, like Office 365, is rolled out according to a carefully constructed plan, which helps businesses achieve immediate ROI and prevents loss of productivity from uninformed or untrained end users. Windows 10 – What is Changing? E3 will now refer to the per-user offer only – Windows 10 Enterprise E3 per User becomes Windows 10 Enterprise E3. The organizations most likely to be affected by these changes are ones that have a lot of device based licenses i.e. retail, manufacturing, healthcare etc. Removing availability of device based licensing models aligns to Microsoft’s push towards subscription-based cloud license models while capturing more revenue for usage of Microsoft products. This move will, however, in the long run, reduce compliance issues and simplify license models. If your EA includes Windows 10 Enterprise E5 per device and you need additional licenses then don’t worry. If your EA is current, you can continue to purchase the products you have today at the same price – even if the products are expiring. Do not panic and make unnecessary purchases! Use this as an opportunity to engage CDW’s SAM Practice who will be able to help you map out your software deployments, usage and contracts. This will empower you to make the most commercially sensible technical and purchasing strategies moving forward. If and when you do make the move to cloud subscriptions – don’t rush it! Ensure you plan the move correctly and enable all end users to make the most of your investment. 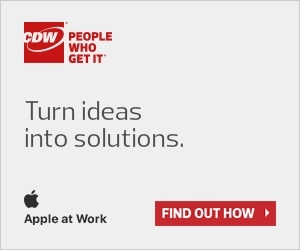 CDW’s Integrated Technology Team can assist with the processes and resources required to deploy new technology in a way that is proven to successfully deliver the required business outcomes.